Bhartiy Web Technologies is an IT business planning and strategy consultancy that provides offshore technology development solutions to a worldwide marketplace. Based in India and founded in late 2007 as the consultancy wing of sister company Bhartiya Digital Laboratories, . Bhartiy specializes in helping IT and Web businesses to develop effective infrastructure and implementations, deploy a robust Web presence with a scalable database architecture, and to maintain timely and relevant documentation. A proven global outsourcing solution with more than 1050 successfully deployed projects since its inception, Bhartiy's reputation for excellence within the international IT community is highlighted by the fact that more than 80 percent of its business is earned by way of referrals. In addition to serving more than 80 satisfied clients worldwide, Bhartiy is proud to support non-profit organizations by offering at reduced prices. BonusThemes specializes in creating clean creative and elegant templates for Joomla! and virtuemart. BonusThemes is one of the leading premium template provider for Joomla! with professional artwork, rock-solid programming and devotion to support. We are focused on creating unique, attractive, elegant, clean joomla templates without loosing flexibility and simplicity of customization. 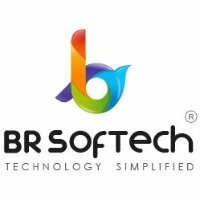 BR Softech is the top IT leading company in the India having provides the services like web development,Web application ,App development,Android app development . BR Softect pvt ltd is the applaudable web and mobile development company iwhich offers has been nominated in top 50 mobile app vendors in the year 2014 .The icing on cake is that we have also been nominated as top 20 android app development company currently . In Building E-commerce Sites with VirtueMart Cookbook you will learn how to create a full-functioning and attractive eCommerce solution with VirtueMart. You will be shown how to install and configure VirtueMart, how to set-up and run your store day-to-day as well as configure and customize the look and feel of your store. With this book by your side, you will be able to overcome as problems setting up, administrating and customizing your eCommerce store! VirtueMart is a premier eCommerce solution powered by Joomla! This book finishes with blueprint projects meaning that getting started with VirtueMart is even easier for the novice and aspiring site builder or developer. If you have always wanted to create a professional-looking store, but are worried about the complexity and difficulty involved, then this book is for you! 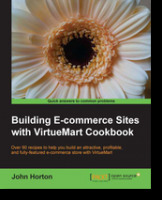 With numerous recipes, practical tips and solutions Building E-commerce Sites with VirtueMart Cookbook will take you through every step required to achieve eCommerce success.